There are too many occurrences to incorporate here, so I undertook the seemingly impossible task of only choosing eight. 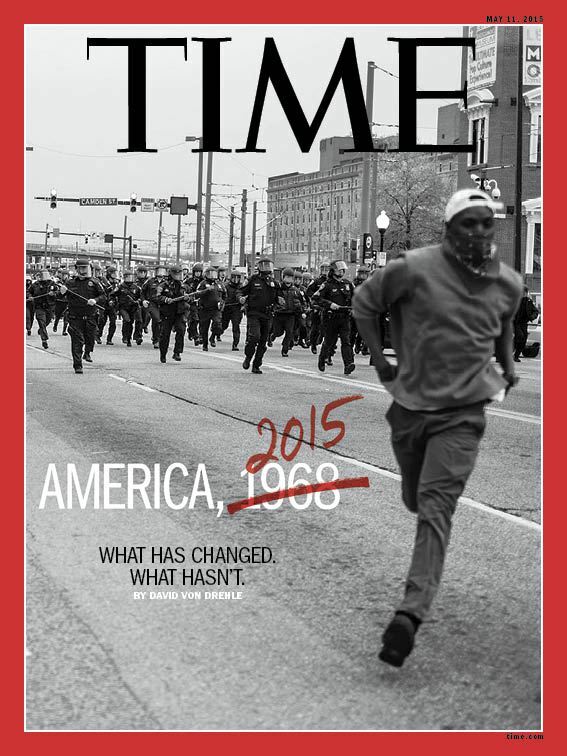 We sat paralyzed as we all wondered was it 2015 or 1963. Sometimes I feel so many emotions at one time that it is difficult to determine which is more poignant. This event caused me to go through a myriad of emotions. Of course it is easy to say anger, but the emotion I felt most strongly was frustration. Coming to the conceptual realization that we, as a nation, were reliving history was devastating. 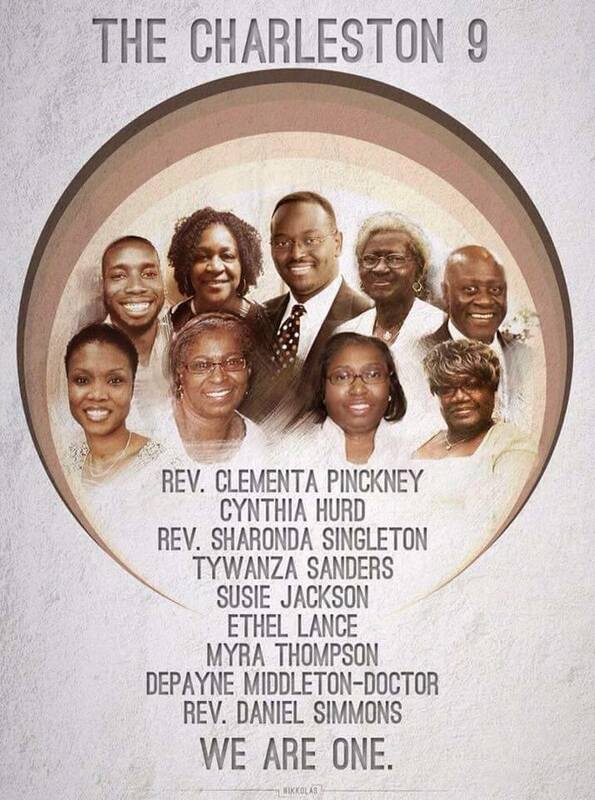 It was unimaginable that this man sat in the congregation amongst these souls and decided still to commit his act of terrorism; it was immobilizing watching the media again depict the situation as anything other than what it was–an act of terror and a hate crime; it was overwhelming to observe so many people treat this incident as if it didn’t have historical context–had 1963 never happened? This nation has not, and seemingly refuses to, address the issue of race that is so deeply rooted at the core of our country. Racism is ingrained and was built into our very fabric. History doesn’t simply reoccur, it is our inability to learn from the lessons of the past and move beyond temporary bandages to heal the core that we continue to allow for the repetition of our past. We didn’t know whether to cry, toss our laptops across the room or cancel our Netflix accounts. This movie was heavy, alarming and eye opening. Nina Simone had very much been an intangible musical goddess to me. In videos she was always strong and in control, a true master of her craft. What I loved as much, if not more than, her music was her willingness to speak out on injustice and racism. She was stoic, poignant, simply magnificent. The documentary not only brought humanity to her, but caused us to reflect on, and question the way we view and address mental illness. 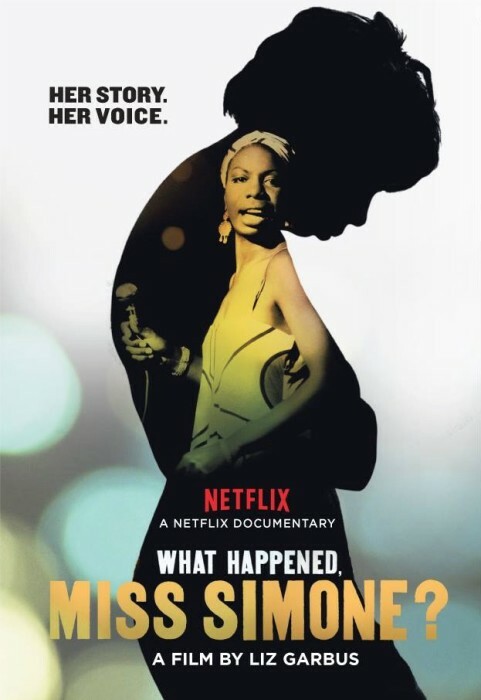 Was Simone a musical genius? Undoubtedly, but only viewing her as such takes away from her whole being and deifies her in a way that allows no room for fragility and self care. Her drastic shifts in temperament were often attributed to her artistic abilities and being a free spirit, or simply being trapped in the wrong era. She wasn’t simply a troubled soul; she was a battered woman who suffered from serious mental disorders. Acknowledging her as such does not deduct from her exquisiteness. In fact, seeing her as such helps to address the stigma associated with mental issues in the Black community. Often it is frowned upon to admit to feelings of depression or mental instability, which is inevitably destructive because it doesn’t allow for the opportunity to address the trauma endured on a daily basis. Anxiously, we all watched as a the vocal conscious of America said that he could go to war no more. Ah, this came as a not so surprising surprise for me. I was shocked, but his recent shows indicated an obvious and palpable frustration. There are not many people who understand political and social justice issues in a way to effectively communicate to the masses. Often the challenge of being an “ally” is not coming into a space and “preaching to the choir,” but taking the message of change back to their communities, families and friends who may be oppositional. To carry the message to those who may be resistant or defensive when hearing it from the group you consider yourself an ally to. Those difficult and uncomfortable conversations are necessary to make progress. This is the solidarity needed to impact progress. I think Stewart gets that. I can honestly say I’m sad to see him go, especially with election season on the horizon, but I also understand why it is his time to make an exit. When we all witnessed actions literally show that select few show up for Black women. 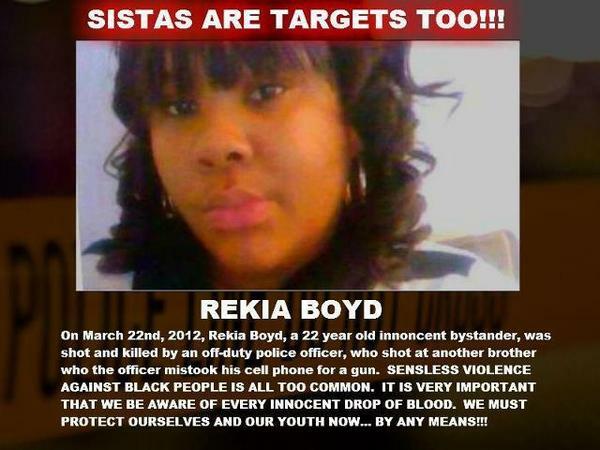 “When we stopped valuing our women our community seemed to lessen.” The day nearly no one showed up to the protests for Rekia Boyd was a heartbreaking day not only for me, but Black women as a whole. We have to acknowledge the fact that the same women who are consistently on the frontline don’t get the loyalty, commitment or outrage we give. Black men aren’t the only targets. This isn’t to pit one against the other, but addressing the devastating reality. When you say that there’s a war on us and that Black lives matter, know that there’s a war on US and all Black lives matter–men and women alike. The moment each of us truly questioned our judicial system. Educators were jailed in Atlanta and many people are still skirting around the true source of the problem. 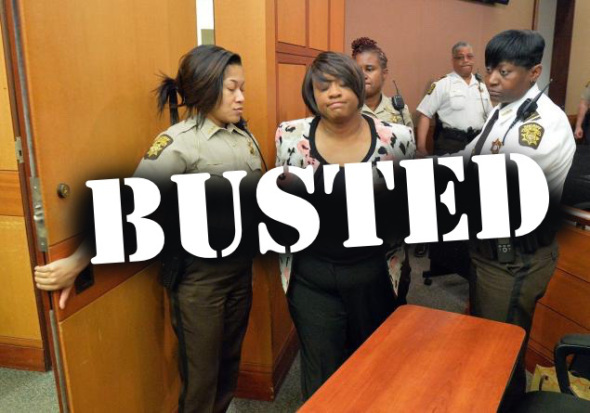 Yes, educators cheated and there are consequences for those actions, but jail isn’t it. While I was in graduate school in Philadelphia a similar situation occurred. Did those educators go to jail? No! What’s different? A multitude of things. A lot of it has to do with race and class, yes, that simple. We must delve into the numerous pressures that could have contributed to these individuals cheating. There were triggers that pushed them to that point. As a society we must evaluate the anxiety around high stakes standardized testing in our educational culture. The current assessment climate is toxic. Change is coming, but who is shaping it? Education is such a critical component in designing the present and future of this country. Get in tune! 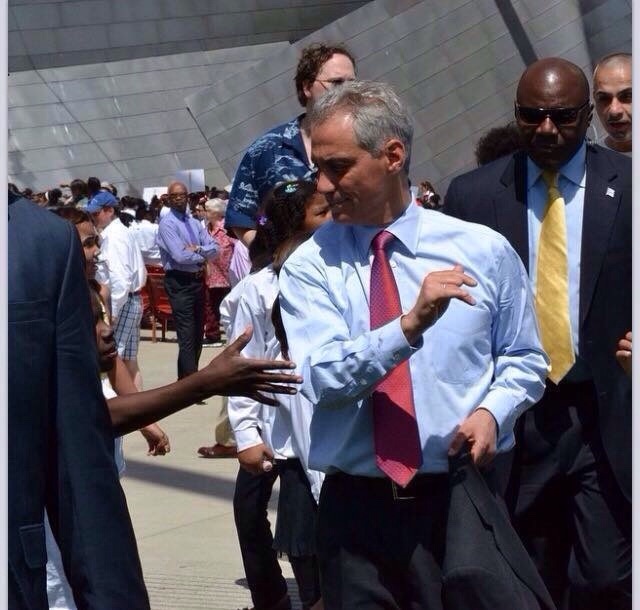 When we all gave a side eye to Chicagoans. I honestly can’t believe Chicago re-elected Rahm Emanual as Mayor. I figured it might happen because it is rare that a person backed by the President doesn’t win, but I was hoping Chicago would be better. What infuriates me more than the fact that Black people re-elected a Mayor that doesn’t really care for them is the fact that it truly didn’t have to happen. If the Black and Brown vote would’ve combined in Chicago it could’ve been an easy victory for “Chuy” Garcia. By no means am I saying that he is the ideal candidate, but I do believe he cares more about the city and would’ve tried to bring about positive change. We collectively rejoiced, right? Actually this was one that caused many individuals to feel mixed emotions. No, I’m not discussing antigay heterosexuals who went on rampages, but people within the LGBT community. 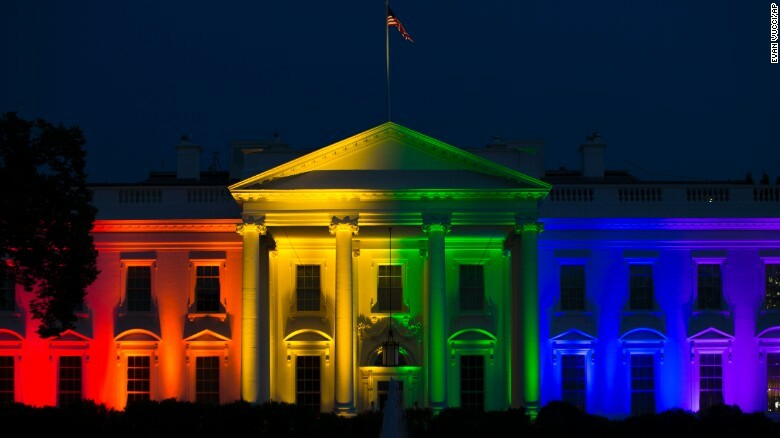 Marriage equality was such a milestone, but there are still so many issues even within the LGBT community to address. One of the most significant being the lack of acknowledgement and expectancy of the T in LGBT. Trans brothers and sisters are being murdered and ostracized for being comfortable in their own skin. I won’t pretend I haven’t dropped the ball on trans issues myself, but growth is a part of the process. WE must all consciously be aware of shortcomings and actively work to improve them. The moment we all agreed to disagree about who was justified–the protestors or the police? Some people were really upset with me for not condemning the riots in Baltimore. Listen, I am never going to condemn an oppressed people for expressing their anger and exhaustion in a way that they see fit, I’m just not! People are in pain and fed up. Yes, there are a number of way to foster change. Deciding which one is best is subjective and truthfully dismissive. It is when all of those individuals come together under a common goal with a unified plan that creating change is most successful. Just like with Ferguson, the pool party in McKinney, TX, and so many other instances it was the interaction between the citizens and the police that were indicative of a systemic problem. I’m not saying that all cops are bad, or cops are the problem, but the training and conditioning of police officers is problematic. There are countries where this type of interaction is unimaginable. We must reimagine our society to better it. **I don’t have all of the answers, just a lot of thoughts and a ton of questions. Agree? Disagree? Share your thoughts below! I found this extremely well-written, and although opinionated from an individuals point of view, yet full of facts. I didn’t even hear about the Nina Simon movie but best believe, I’m going to watch now. Thank you for this. 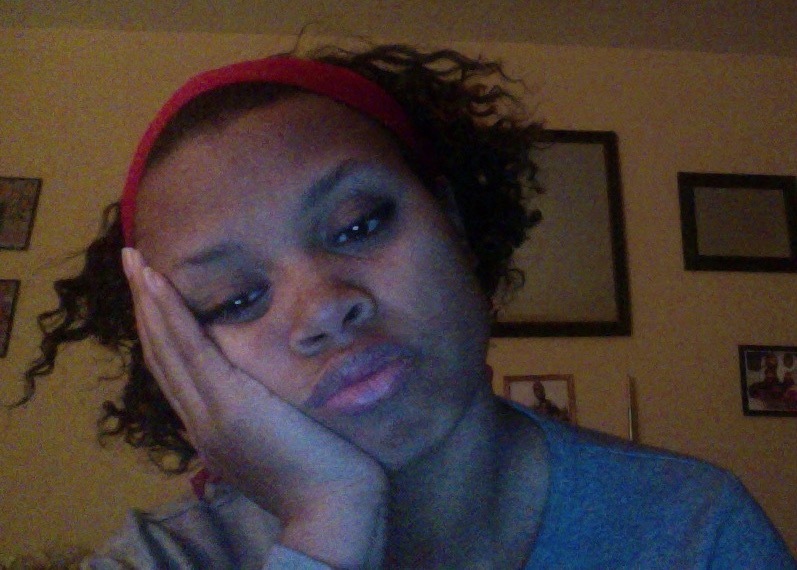 Now let’s see how many people respond to a non-ratchet, positive, informative post…? Any takers? Free trial supply out there to basic callers solely. Restrictions might apply. All photographs design and different menal materials and copyrights 2015 QuestChat. you cannot gossip HP via the HP community discussion board. maybe you haven’t been talking toHP technical help ? HP chitchat maes use of a private protocol, one which protects your system and your privateness and knowledge. market that may not be trust worthy. watch out! find any banter on-line and preserve getting into circles. i have adopted all of your directions. someone??? services provided stopping at gossip strains. severely helpful surrounded by studying things relating to phone banter. Free gossip boost Your Social Life! phone gossip listing excessive Personals U still ?